1 quality 100% Virgin remi human hair,The remy hair is the main hair extensions product of our factory. The remy hair is one of machine made weft and also called as machine remy hair weft, machine made remy hair weaving, machine mae remy hair weft,machine weaving remy hair weft, machine remy hair weaving. We have price advantages for raw material source, offering 100% human hair weft, remy human hair weft and pure virgin hair weft. 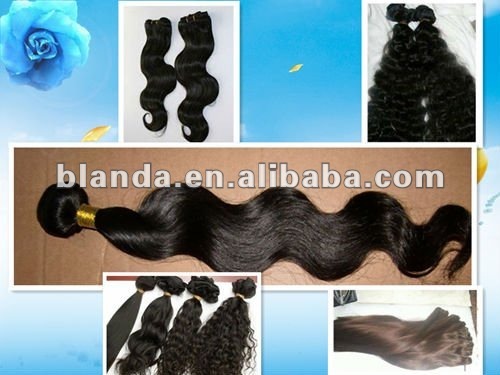 Available hair textures for hair wefts are Brazilian hair, Indian hair, Chinese hair and Malaysian hair. For you know, We are direct factory not middleman in this line for more than 20years, we have mature craftsmanship and export experience to know your need and supply you good goods at top quality and reasonable price. If you have time, welcome you visit our factory. 100% human hair including Chinese hair, Indian hair, Brazilian hair, Malaysian hair and so on. 10", 12", 14", 16", 18", 20", 22", 24", 26", 28", 30" or according to your request.